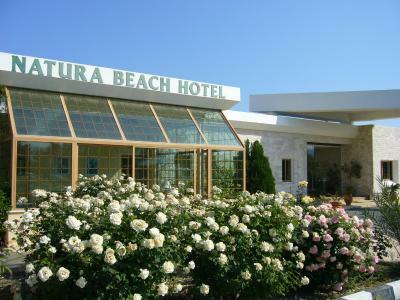 Lock in a great price for Natura Beach Hotel And Villas – rated 8 by recent guests! 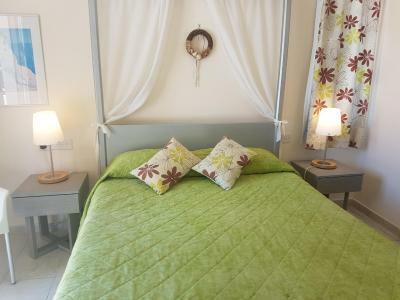 Nice view on the see, friendly staff, large bedroom, breakfast with local produce, fireplace in the lounge. 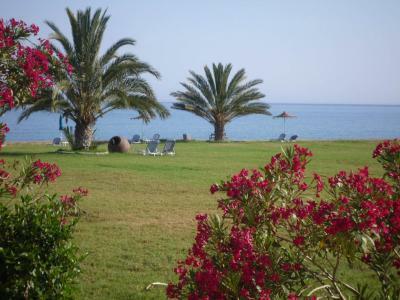 Great friendly staff, marvellous location right on the beach, lovely organic gardens and organic food. Smashing breakfasts , a big choice and everything so clean. Wonderful service with a smile always. The beds were super comfy and our view of the sea so beautiful. 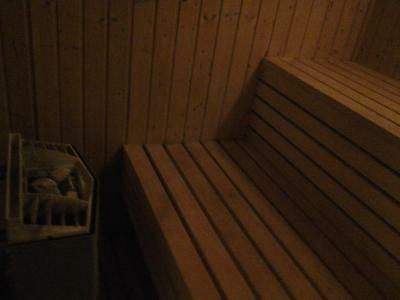 The best thing was the tranquillity in all areas. Ethical policy regarding all areas a big bonus. The staff were very friendly. We were given an upgrade to sea facing room from garden facing room. Good selection of food for breakfast. The view and sunsets were stunning. Room very comfortable. 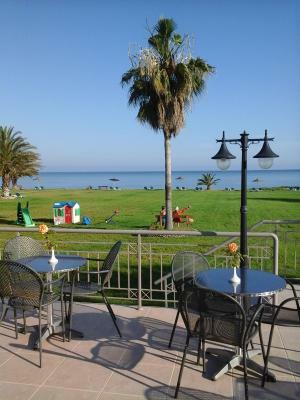 Very good location with fantastic sea view. Nice breakfast. And thank you for accepting dogs! We will definitely stay there in future. A haven of peace, this unique hotel, which is run on environmentally friendly lines, provided everything we needed for a relaxing break. The staff are quietly efficient and very helpful, and we will visit again as soon as we can. Overall the place was very clean and staff very friendly. The location is good, isolated but not too far away from the town. Natura Beach Hotel And Villas This rating is a reflection of how the property compares to the industry standard when it comes to price, facilities and services available. It's based on a self-evaluation by the property. Use this rating to help choose your stay! 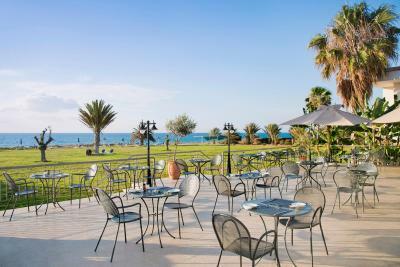 Positioned on the Polis Bay, this hotel offers an outdoor pool with uninterrupted views of the sea and Paphos Mountains. 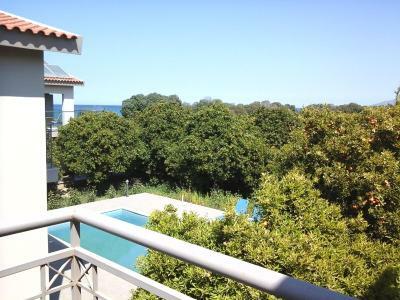 Units feature private balconies or terraces overlooking the gardens or the sea. 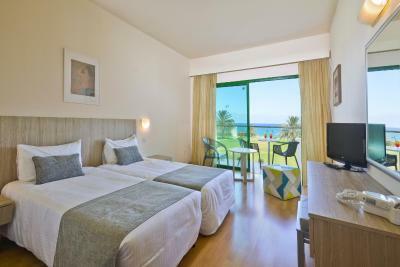 The elegantly decorated guest rooms or villas at the Natura Beach Hotel are equipped with air conditioning and satellite TV. 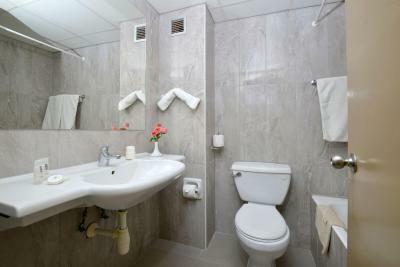 Each has a mini-bar and a private bathroom with a hairdryer. 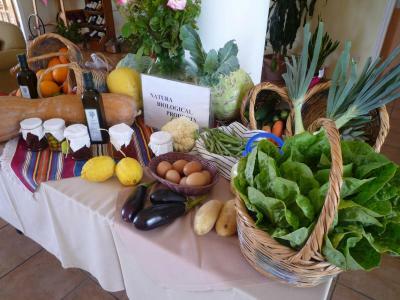 Guests can savor a variety of traditional Cypriot dishes made from local produce and hotel-grown vegetables. Certified Cypriot breakfast is served in the morning. 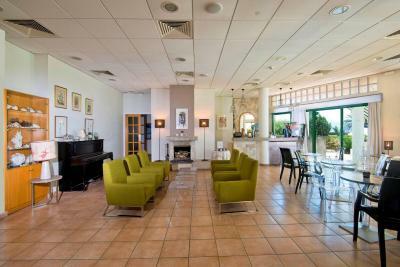 Drinks can be enjoyed at the bar with a fireplace and terrace overlooking the pool. 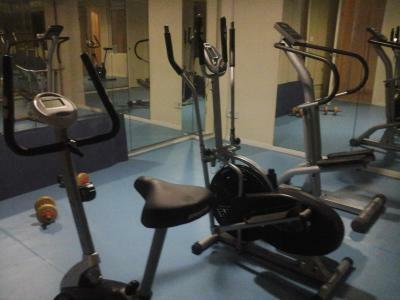 Sports facilities at the Natura Beach include a fitness center and tennis court. 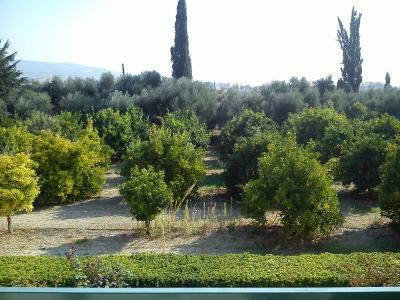 The surrounding gardens and orange groves provide opportunities for bird watching and relaxation. 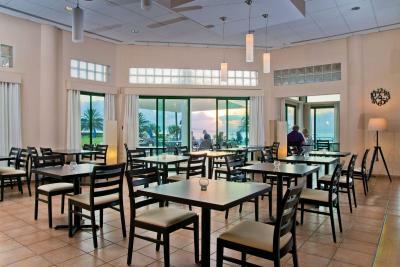 Natura Beach Hotel And Villas is located a 20-minute walk from the taverns and cafés of the Polis center. 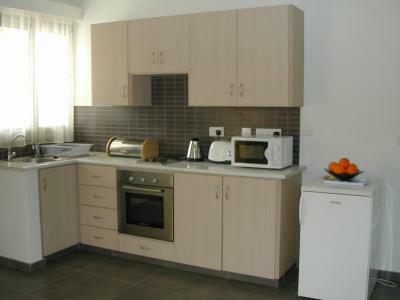 The renowned Akamas nature reserve is just a few miles away. 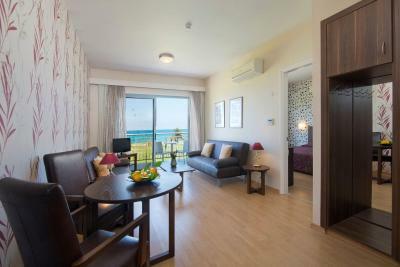 Paphos Town is a 35-minute drive away and Paphos International Airport is a 45-minute drive away. When would you like to stay at Natura Beach Hotel And Villas? 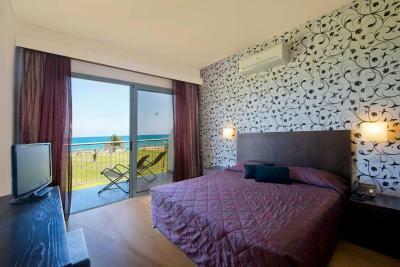 Bright and air-conditioned room featuring free WiFi, a satellite LCD TV and mini-bar overlooking the Mediterranean Sea. Please note that a double is available upon request. 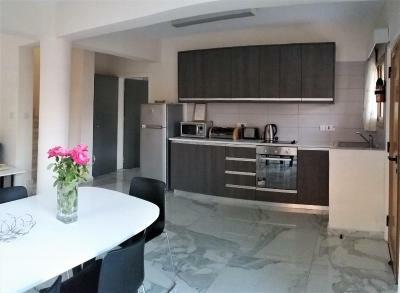 Bright and air-conditioned room featuring free WiFi, a satellite LCD TV and mini-bar overlooking the large garden. Please note that a double may be available upon request. 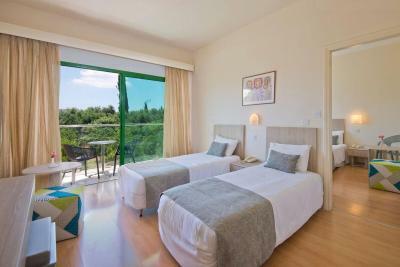 Overlooking the spacious garden, this air-conditioned room consists of 2 interconnecting bedrooms. 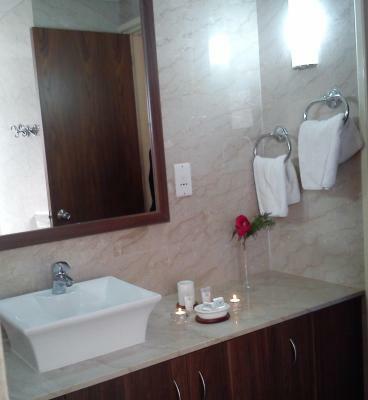 It features free WiFi, a flat-screen, satellite TV, a mini-bar and a bathroom with a bath or shower. Featuring a private pool, this split-level and air-conditioned villa offers 2 separate bedrooms, each with private bathroom. It has free WiFi and a seating area with sofa and flat-screen, satellite TV, as well as a fully equipped kitchen with stove and dining area. The spacious veranda is an extra 28 square yards. 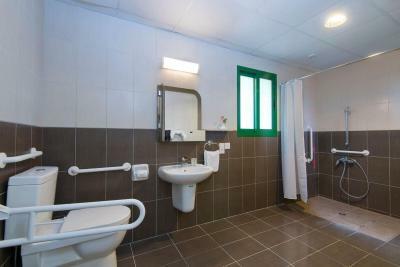 Cleaning service and change of linens is provided every 3 days. 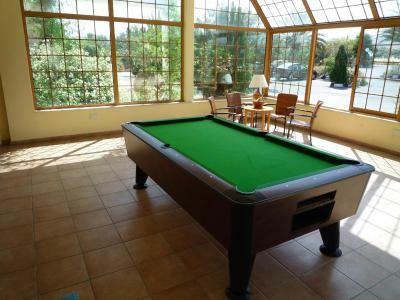 Featuring a private pool, this split-level and air-conditioned villa offers 3 separate bedrooms with private bathroom. One of them is located downstairs. 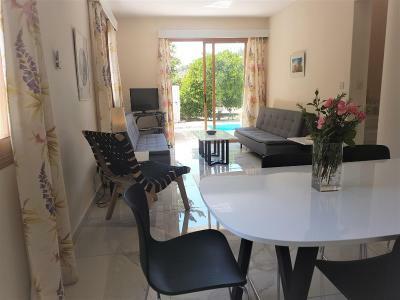 It has free WiFi and a seating area with sofa and flat-screen, satellite TV, as well as a fully equipped kitchen with stove and dining area.The spacious veranda is an extra 37 square yards. 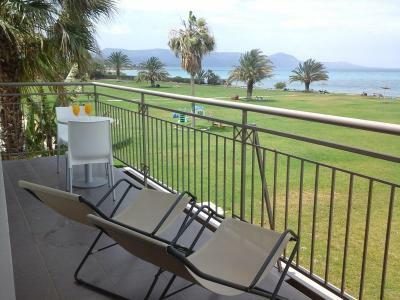 This upper floor sea-view unit consists of 2 separate rooms, sitting room including 2 sofa beds and a bedroom with double bed, a large marble bathroom and a spacious sea-view balcony. Free WiFi is included. This twin room features free WiFi, a satellite TV, air conditioning and mini-bar. House Rules Natura Beach Hotel And Villas takes special requests – add in the next step! Natura Beach Hotel And Villas accepts these cards and reserves the right to temporarily hold an amount prior to arrival. The cocktails we ordered... Staff was very friendly about replacing them with a beer! One morning the fresh orange juice was diluted with water... Shower was cold one evening. Everything was ok, the only thing is the bed mattress, could be better. We can’t think of anything that needed improving! Poor wi-fi with a sign at the reception that the signal in the whole are is rather weak due to dramatic increase of users (holiday makers). Come on, that should be a target, not a problem! Poor breakfast. Poor lighting at most common areas. Old property, needs renovation. The room was not clean at all! The tiles in the bathroom were broken and detached from the wall. The staff lack customer service training and manners. Breakfast had little to offer...we had to go outside to find a decent coffee and something to eat. We thought that we overpayed for what we were offered. Not very clean, fluff under the bed. Furniture cheap. No replacement of shower gel and shampoo even though these were used on the first day. Not enough parking spots available. No lights on the verandas, pitch dark outside. 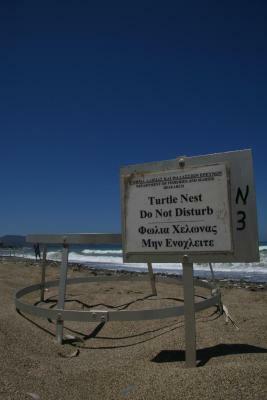 Perhaps this is due to the turtles nests but our room was facing the gardens not the beach in any case. Unfortunately the breakfast wasnt good at all. You could see ants on the table with breads and toasts, cereals were soft like they were open for days, glasses weren't clean and the only water bottle that was there was empty. The receptionist was very kind and helpful. Rooms were clean. Very peacefull and the staff was friendly! Location was good. Good sized room for the family and breakfast was good.